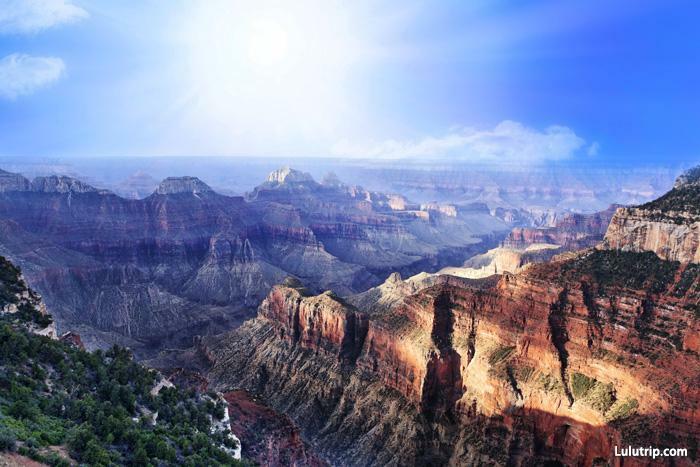 Many travelers who visiting USA will also plan a Grand Canyon trip. They often start their journey from Las Vegas or Los Angeles. Today, I want to introduce a Grand Canyon bus tour from Los Angeles:【3-Day】Las Vegas and Grand Canyon Bus Tour from Los Angeles. 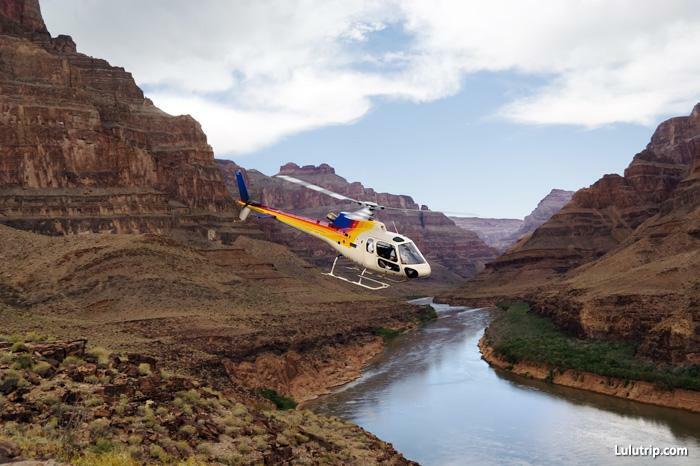 The 3-day tour shows us its two highlights: ☆ Best-selling bus tour to Grand Canyon (West Rim OR South Rim), Las Vegas, Botanical Cactus Garden ☆ This tour includes a special gift package worth up to $100 in value! Next, I will introduce its itinerary in detail. This morning we depart from Los Angeles and enter Mojave Desert passing through San Bernardino National Forest. The vast barren lands are decorated by bizarre shaped Joshua trees. Enjoy the unique and picturesque landscape! Stay overnight in Las Vegas. This morning we drive to the Tallest Dam in North America - the Hoover Dam. Enjoy the panoramic view of Lake Mead, the Largest Man-made Lake. Then we will visit the most famous of 7 World's Natural Wonders, the Grand Canyon. Over there, the mighty Colorado River and relentless erosion have created this geologic museum of epic proportion. When sun shines down onto the colorful canyon walls, the view is breathtaking and inspiring! You will be impressed by the Ultimate Creator's Masterpiece! Hoover Dam- The beautiful Hoover Dam is located 30 miles southeast of Las Vegas in the Black Canyon of the Colorado River. The massive concrete dam was a monumental undertaking built during the Great Depression and dedicated by Franklin Roosevelt himself. Visit Ethel M Chocolate Factory and Botanical Cactus Gardens this morning. Be sure to sample a piece of fresh made chocolate. Then drive to Tanger Outlets in Barstow and enjoy your shopping experience at a variety of popular and high fashion signature stores. Arrive in Los Angeles in the evening. You will arrive in Los Angeles around 6:30pm - 6:40PM. Return time is an estimate and varies based on traffic and weather conditions. If you want to end this tour in Las Vegas, you will be sent to MGM Hotel by coach after visiting Ethel M chocolate factory and Botanical Cactus Garden. Please schedule your flights departing after 2:00PM at LAS airport. You have to head for the LAS airport by yourselves. The sequence of the itinerary is subject to change without prior notice according to departure date, weather, traffic, etc. Please note at the time of booking if you want to end tour in Las Vegas. Please schedule your flights: LAX airport Departure flights after 9:30PM for domestic flights and after 10:30PM for international flights. The information above is only the overview of the the 3-day. You can check more information, such as inclusion, exclusions and reminder on the website:【3-Day】Las Vegas and Grand Canyon Bus Tour from Los Angeles before you booking the tour. Of course, if you want to visit more attractions, you can also find the one you want to try.